Even though the Houston weather doesn’t necessarily agree, Fall is upon us. 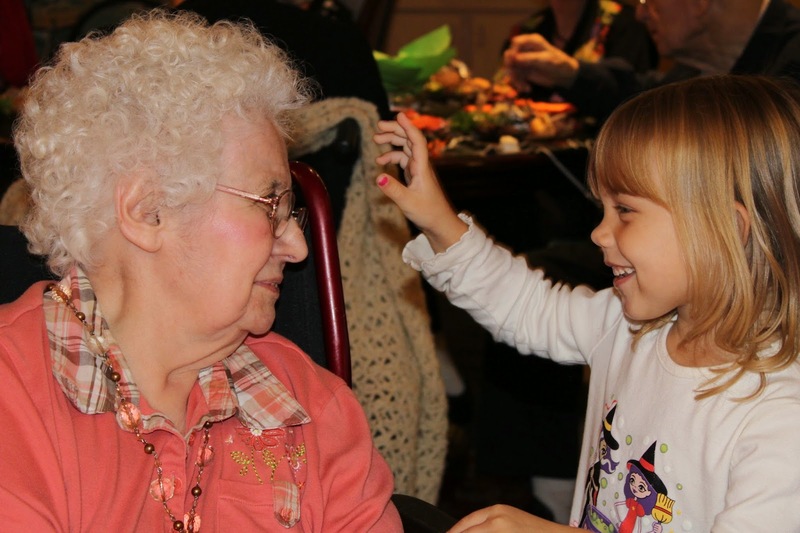 Every Fall my family enjoys attending the Halloween Party at my grandmother’s assisted living and memory care center. As I have previously written about, Shelly and I have a grandmother suffering from dementia. Increasingly over the last year, the recognition usually present in her eyes when I walk in the room, has diminished; however, within several minutes of our arrival she seems to have forgotten that she isn’t quite sure who we are, and accepted that we are there to be with her. Even though this year the party fell on the busiest night for our family activities, this annual party is a top priority, having become so important to both to my kids and grandmother. While attending a party at a nursing home may not sound very exciting, I have discovered an exciting reason to attend – the smile on my grandmother’s face. Dementia has robbed my grandmother not only of her unique personality but also most of her emotions. For this short time, we catch glimpses of our “Granny” within her still healthy body. Her smile radiates while laughing at the antics of my children, especially those of my youngest. Even though she won’t remember we were ever there a mere ten minutes after we’ve left, I know that for a short time she enjoyed herself. This annual party is such a gift. A gift to my grandmother, my mother, my children and myself. The memories we hold from these years of Halloween parties will hopefully stay with us for a lifetime. 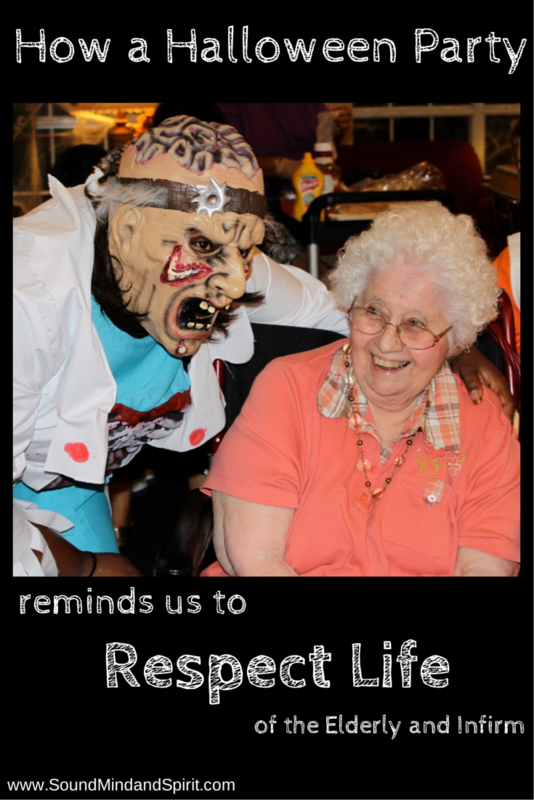 As we approach the end of Respect Life month, please remember that Respecting Life is not only about the vulnerable unborn, but also includes the elderly and infirm. Respect Life Month is a great time to make a commitment to remembering and supporting our elderly and infirm with the dignity and respect they so richly deserve.